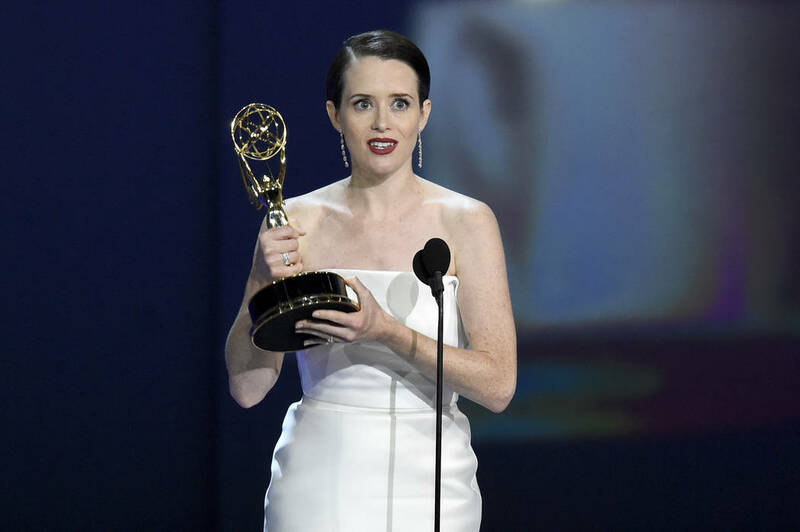 Amazon’s “The Marvelous Mrs. Maisel” became the first streaming series to win top Emmy comedy honors and HBO’s “Game of Thrones” recaptured the best drama series award Monday at a ceremony that largely slighted its most ethnically diverse field of nominees ever. 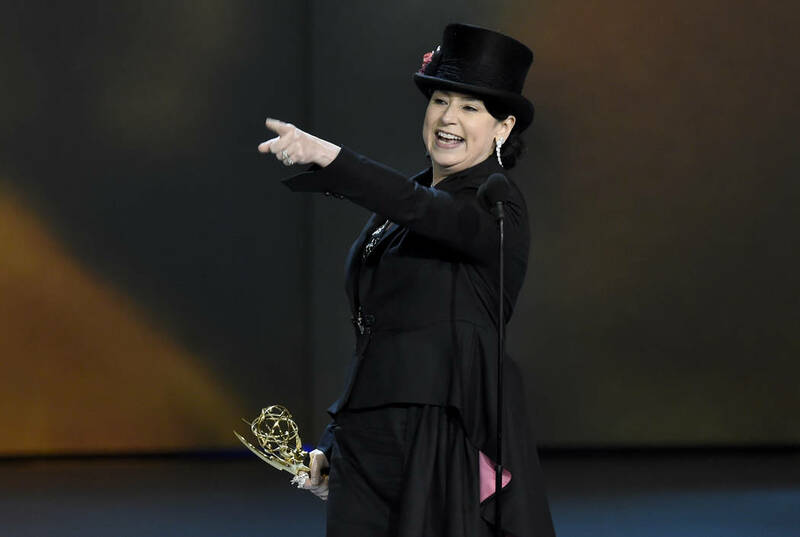 LOS ANGELES — Amazon’s “The Marvelous Mrs. Maisel” became the first streaming series to win top Emmy comedy honors and HBO’s “Game of Thrones” recaptured the best drama series award Monday at a ceremony that largely slighted its most ethnically diverse field of nominees ever. 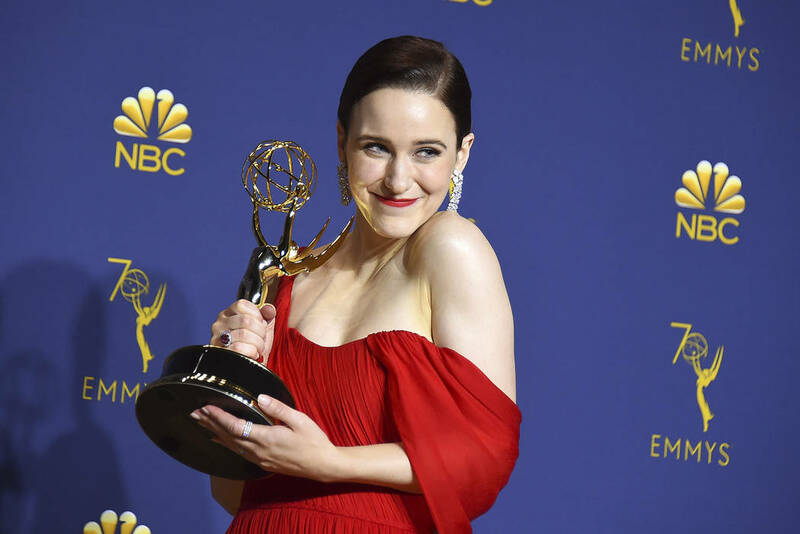 “The Marvelous Mrs. Maisel,” Amazon’s freshman sitcom about an unhappy 1950s homemaker liberated by stand-up comedy, earned best actress honors for star Rachel Brosnahan. 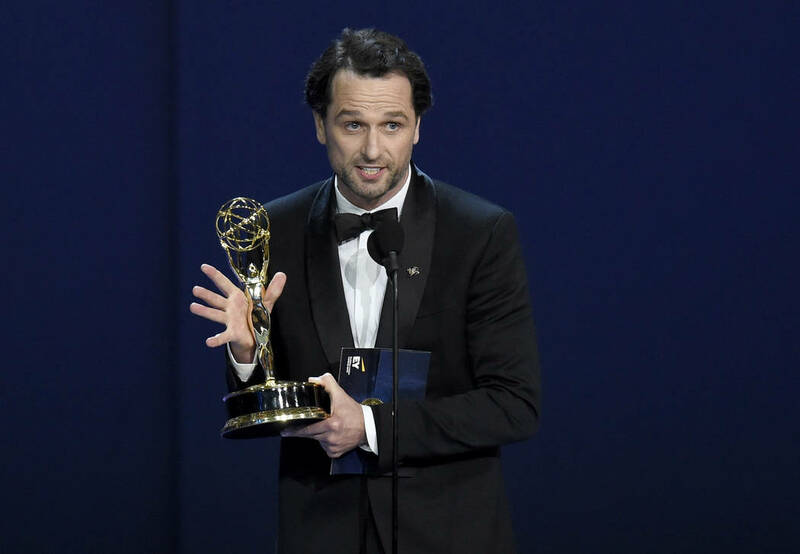 Claire Foy of “The Crown” and Matthew Rhys of “The Americans” won top drama acting Emmys, their first trophies for the roles and last chance to claim them, with Foy’s role as Queen Elizabeth II going to another actress and Rhys’ show wrapped. The field bested by Foy included last year’s winner Elisabeth Moss for “The Handmaid’s Tale” and Sandra Oh of “Killing Eve,” who would have been the first actor of Asian descent to get a top drama award. “This wasn’t supposed to happen,” said a startled Foy. “Thank you for letting us take care of your people,” ”Game of Thrones” producer D.B. Weiss said to George R.R. Martin, whose novels fuel the drama. “Let’s get it trending: #EmmysSoWhite,” presenter James Corden joked at the midway point, riffing off an earlier tribute to Betty White. 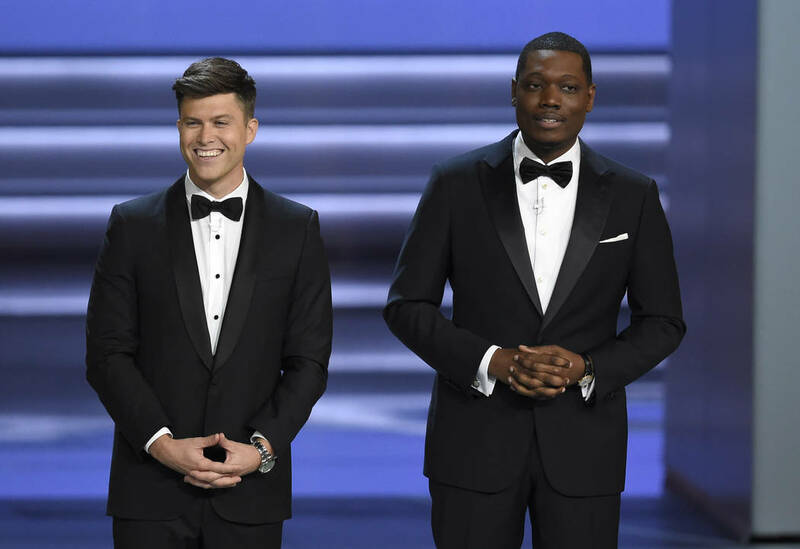 “I want to say six awards, all white winners, and nobody has thanked Jesus yet,” co-host Michael Che said, referring back to his earlier joke that only African-American and Republican winners do. Then Regina King broke the string, with a best actress trophy in a limited series or movie for “Seven Seconds,” which tracks the fallout from a white police officer’s traffic accident involving a black teenager. She was followed by Darren Criss, who won the lead acting award for the miniseries “The Assassination of Gianni Versace” and who is of Filipino descent. Brosnahan used her acceptance speech to give a shout-out to her comedy’s celebration of women power. “It’s about a woman who’s finding her voice anew, and it’s one of the things that’s happening all over the country now,” she said. She urged the audience to exercise that power by voting. Bill Hader collected the best comedy actor award for “Barry,” a dark comedy about a hired killer who stumbles into a possible acting career. The biggest award so far won by a broadcast network was “Saturday Night Live” for best variety sketch series. “You wonder why I don’t want to call you my girlfriend? It’s because I want to call you my wife,” Weiss said. She said yes, he put his mother’s ring on her finger and the crowd whooped and cheered. John Oliver, in picking up the trophy for best variety talk show award for “Last Week Tonight,” thanked Weiss’ girlfriend for giving the right answer or, he joked, the whole ceremony could have gone south. The Emmys kicked off with a song, “We Solved It,” a celebration to the diversity of nominees sung by stars including Kate McKinnon and Kenan Thompson. The tune included a mention that Oh could become the first woman of Asian descent to win an Emmy. “There were none, now there’s one, so we’re done,” the comedians sang. Oh played along from her seat: “Thank you, but it’s an honor just to be Asian,” said the Korean-Canadian actress. “Saturday Night Live” creator Lorne Michaels, producing his second Emmy telecast in 30 years, was tasked with turning viewership around after the 2017 show’s audience of 11.4 million narrowly avoided the embarrassment of setting a new low. The ceremony clearly bore his stamp, with Che and Jost as hosts and familiar “SNL” faces, including Kate McKinnon and Alec Baldwin, as presenters and nominees. The long-running NBC sketch show, already the top Emmy winner ever with 71, won again for best variety sketch series.